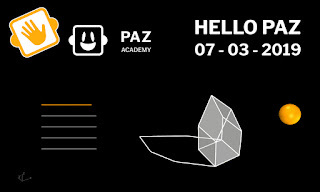 On March 7 and 21, 2019, in Zurich, PAZ – Parametric Academy Zurich is presenting new and fresh courses for 2019 based principally on Rhino and Grasshopper. The presentation, oriented to architects, designers, and engineers, explains the main concepts of computational design with different recent professional examples. Let’s said goodbye to the old workflow! Let’s create new systems to approach more type of projects, raising the quality and control of our design and construction process. Posted Mar 01, 2019 by Bernat Lorente on Rhino News, etc.